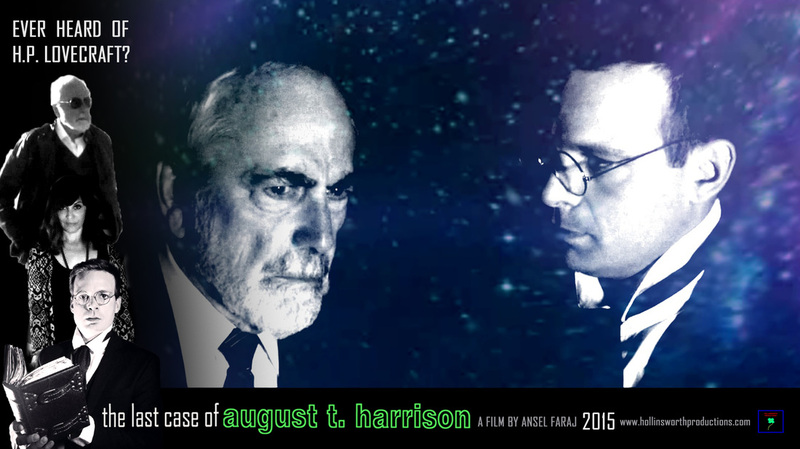 Hollinsworth Productions is excited to present "The Last Case of August T. Harrison", a dark neo-noir thriller influenced by Val Lewton and H.P. Lovecraft; coming November 2015 to Vimeo on Demand, and at film festival screenings. 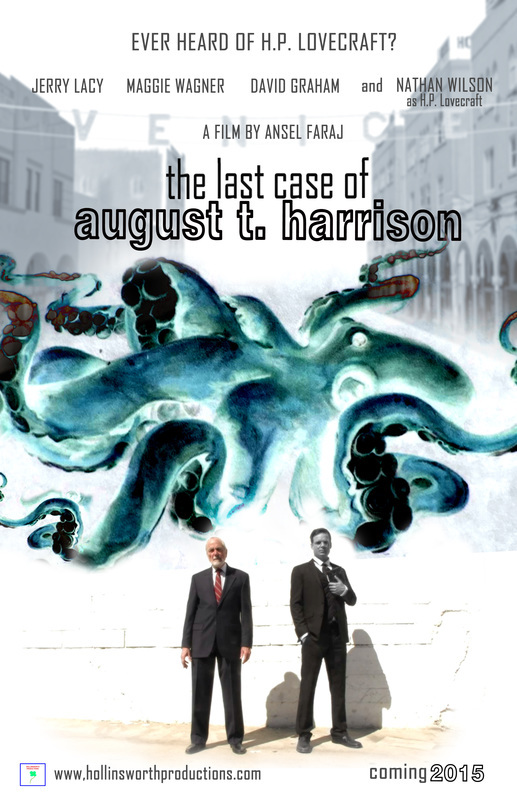 Set in and around Venice Beach, California - August T. Harrison, private eye, comes out of retirement to solve what seems at first to be a bizarre missing persons case, but as he digs deeper, he finds himself caught in the middle of a dark conspiracy involving the writings of H.P. Lovecraft. 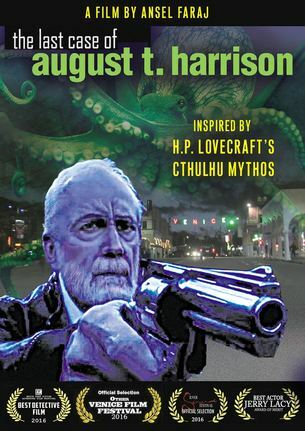 Are Lovecraft's tales just fiction? Or do they hold the secrets of the cosmos? 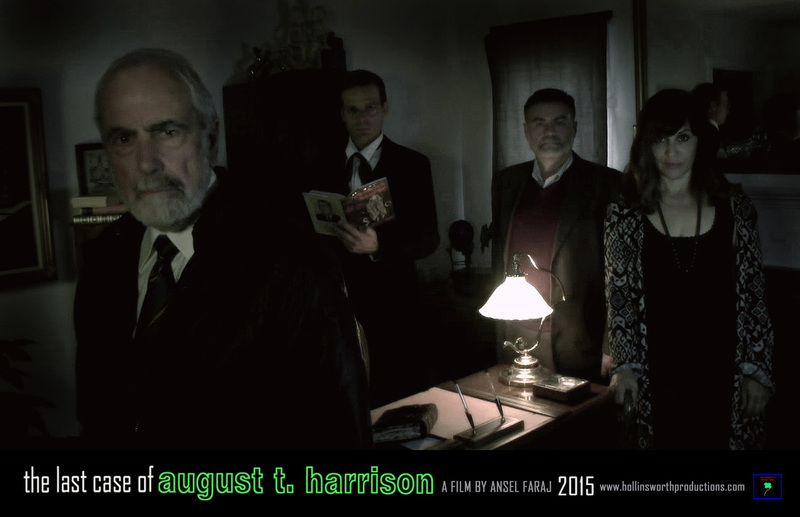 The film stars Jerry Lacy (Dark Shadows, Play it Again Sam) as August T. Harrison, Maggie Wagner, David Graham, Lisa Blake Richards, Eric Gorlow, Max Landwirth, and Nathan Wilson as H.P. Lovecraft himself. 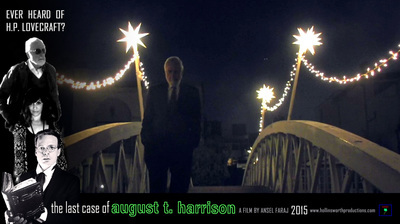 The film is written and directed by Ansel Faraj, director of 2013's Doctor Mabuse and the 2014 web series "Hollinsworth Productions 'Theatre Fantastique'". Ansel Faraj, Nathan Wilson, Rosa Taylor-Faraj and Roxie Zelden are the film's producers. The score is composed by award winning composer Bill Wandel.